This unique map facility offers a snapshot of the disarmament and nonproliferation commitments undertaken by the countries of the world and their membership of the most relevant international institutions. It also enables you to search for news stories, Acronym analysis, government statements and papers and other official documentation relating to the activities of specific countries. Additionally, for some of the key countries we provide a brief historical overview and an introduction to their positions on and involvement in various nuclear issues. Given the ever-changing nature of the subject matter, this is a work in progress. 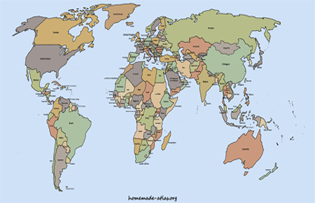 Click any country to zoom in and find information about that country. Drag to zoom in on a region. Right-click or click on the sea to zoom out and use the mini map on the right-hand side to return to the main map.